Earn more miles when you pump petrol. The earning rate for petrol purchases isn’t great, approximately 0.7-0.8 mpd depending on current fuel prices. It’s certainly better than nothing though, and if you’re going to pump gas anyway you might as well get 1,000 bonus miles. The Smiles portal makes it simple enough to sign up for auto-conversion. Just enter your KF membership details and you’re done. The Esso Smiles page must be the most annoying webpage ever designed, however. It asks you for your location with every page you load, and even after clicking allow or block on Chrome keeps bugging you. Thanks to KS for this tip. For drivers, they can convert 750 smiles points for $30. 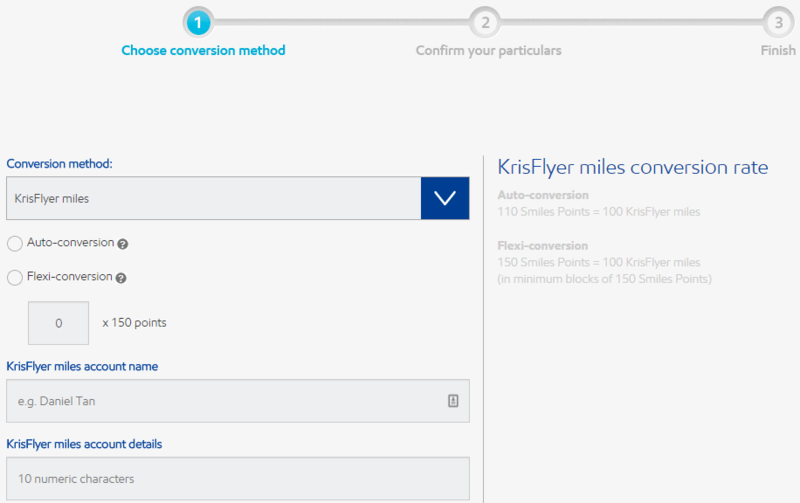 750 smile points is equivalent to 682 KF miles. I think drivers will be better off converting to $30 petrol vouchers. yup. would agree with that. the cheapest reward for esso to offer anyway is a commodity they control, eg fuel.